It’s not unusual for large companies to have class action lawsuits brought against them for any number of reasons. Payouts from these settlements, if any, are usually so meager for the users that it’s not worth the time and effort to get involved. I know I’ve opted out of a few cases myself as it simply wasn’t worth my time. This time around Verizon Wireless is the unlucky recipient, the result of a recent judgment against them stemming from a domestic roaming dispute. 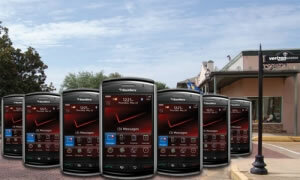 The plaintiffs allege that Verizon failed to provide a specific roaming service under the America’s Choice II Calling Plan. According to the settlement, any current or former customer who, since February 21, 2005, subscribed to this particular calling plan is affected. The settlement benefits are detailed below. Please note that a final approval isn’t scheduled until late October, but if you happen to meet the criteria above and are interested in filing a claim form, you can do so now at the official settlement website. Do you plan on submitting a claim for this class action settlement or have you participated in similar litigation in the past? If so, we’d love to hear about your experience, good or bad.